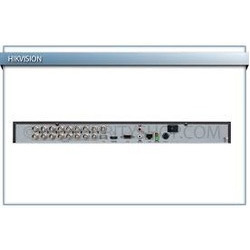 Being a quality focused organization, we are engaged in manufacturing and supplying Hikvision 16 Ch. DVR. By using quality assured materials and latest technology, we manufacture the offered Hikvision 16 ch. DVR in various specifications. Total quality management conducted at each stage of production ensures that the quality of the offered DVR is never compromised at our end.